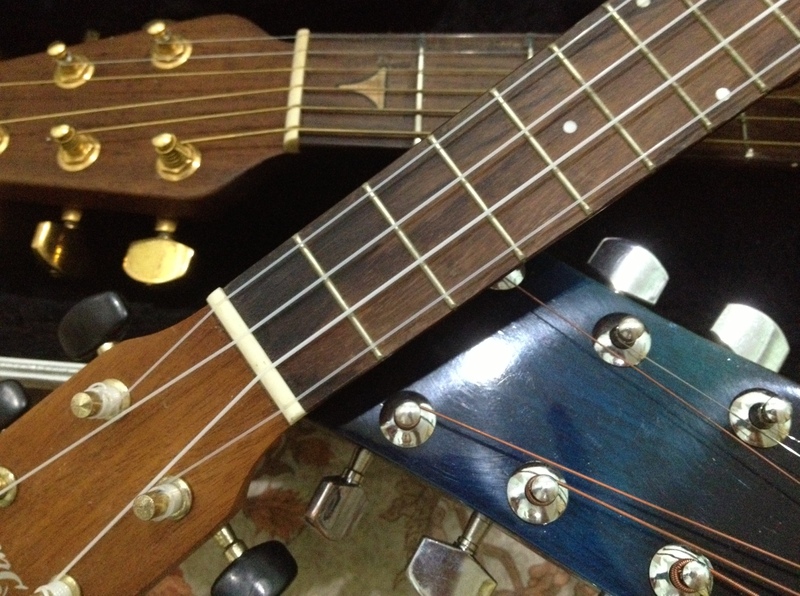 If you met someone who owned four guitars and a ukulele, you might think he was not only a serious guitarist, but also someone with too much money to spend. Thankfully, our son is not a spendrift though he does enjoy playing with good guitars. Many of his peers are also guitarists. Between them, they try to achieve the perfect sound from the perfect instrument… within their not-so-perfect budget! This entry was posted on 26/05/2013 at 23:25 and is filed under Music. You can follow any responses to this entry through the RSS 2.0 feed. You can leave a response, or trackback from your own site.